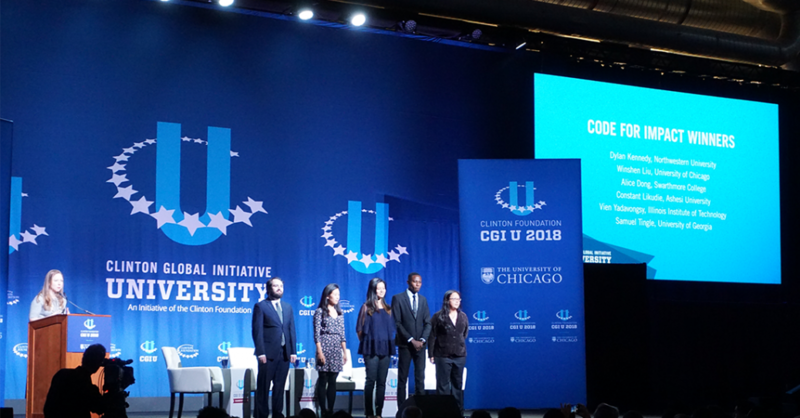 A multi-university proposal to coordinate disaster relief for communities in Southeast Asia won the Clinton Foundation Codeathon at Clinton Global Initiative University (CGI U) on Friday, hosted at the University of Chicago. By Xiaoyi Liu // Originally published in Medill Reports. 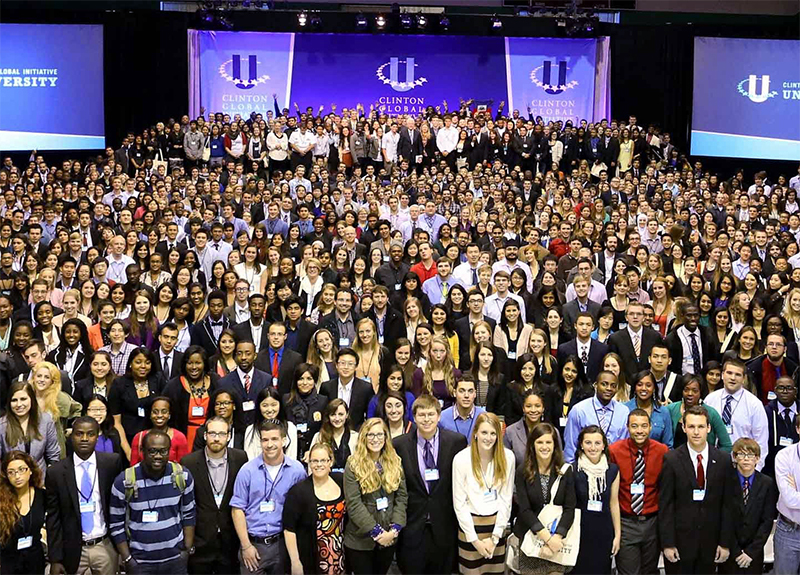 Northwestern joined the CGI U Network in 2014 with organizational representation from the Institute of Sustainability and Energy at Northwestern (ISEN). Natural disasters are 25 times more likely to impact people in Southeast Asia than those in Europe or North America due to global climate change and surging populations in urban areas. 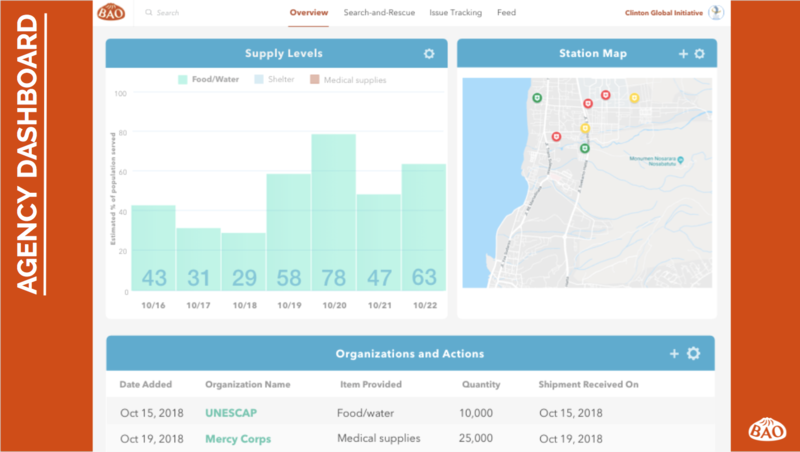 This is why students in a partnership that included Northwestern University, the University of Chicago and the Illinois Institute of Technology designed the digital prototype BAO to help provide relief and coordination for flood and storm-related disasters in Southeast Asia. BAO, the acronym of “Basic Aid Outreach,” took the Code for Impact Winners top award as part of the 2018 Clinton Foundation Codeathon competition. Codeathon judges announced the winner Friday at the University of Chicago. 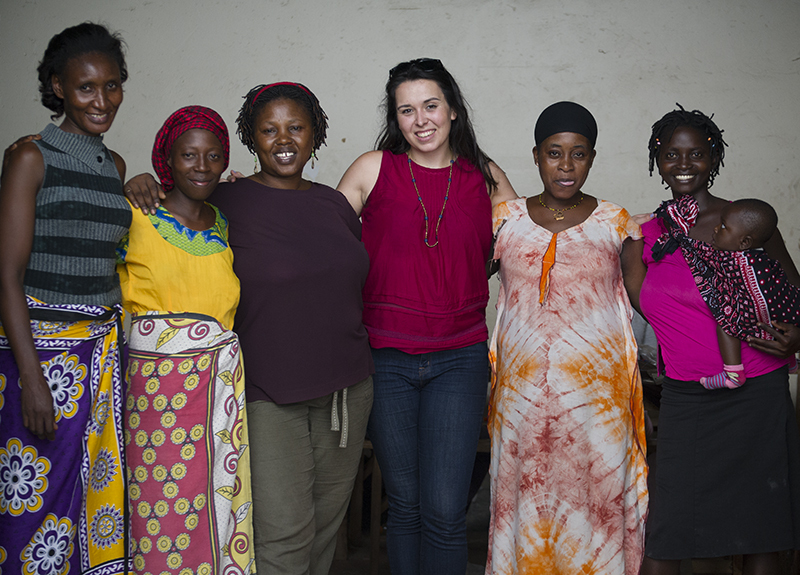 Students from Swarthmore College in Pennsylvania, Ashesi University in Ghana and University of Georgia also helped develop the collaborative tool as part of the BAO team. 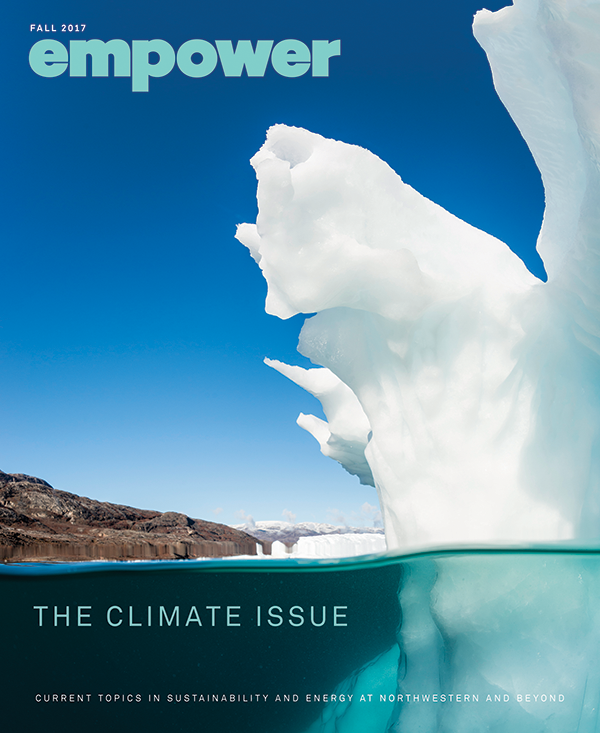 “The application of this is to deal with natural disasters which are not exclusively caused by climate change but are certainly worsened by climate change,” said BAO team member Dylan Kennedy, a junior in Northwestern’s McCormick School of Engineering. The BAO team members knew that they wanted the project name to be a single syllable, making it easy to remember and easy to pronounce. Then they started to throw out random words until they felt like they had something with significant meaning. BAO received continued mentorship from IBM as part of the top award. The project completed against five other finalists. 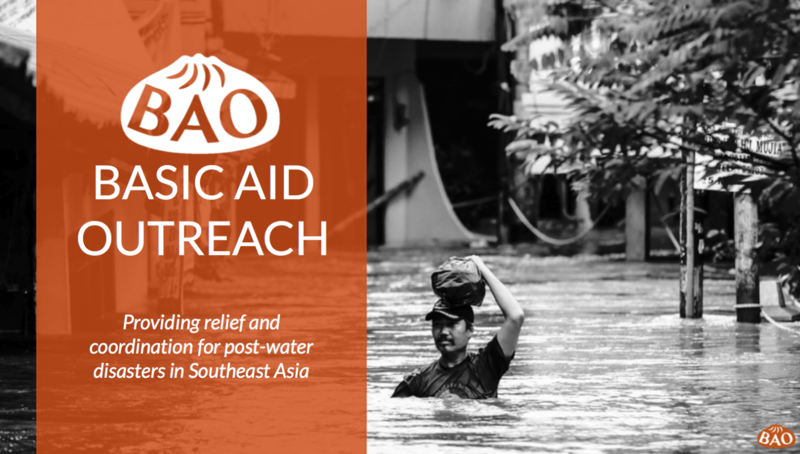 BAO aims to provide preparation, response, and recovery resources to victims of natural disasters in Southeast Asia and empowers local volunteers and agencies to take the lead in delivering aid. The platform leverages existing social networks, the power of AI, and crowd-sourced data to coordinate relief efforts efficiently and accurately. It’s a program that would work through social media such as Facebook’s Messenger and WhatsApp. Anyone with those applications already installed on a cell phone would just need to find the relevant page and start messaging with it to get information. “One thing that we discovered was the particularly high social media use in Southeast Asia,” Kennedy said. Their group figured out that by integrating BAO with platforms that people have already familiar and comfortable with, it would be able to reach a wider audience than if it were an app. “It seems like one small step to finally decide to work on an already established platform like Messenger, but in reality it took what was probably hours to make that final step,” Dong said. This year’s Codeathon challenged students to develop over the course of two days digital tools that can increase the effectiveness of response and recovery efforts following natural disasters. 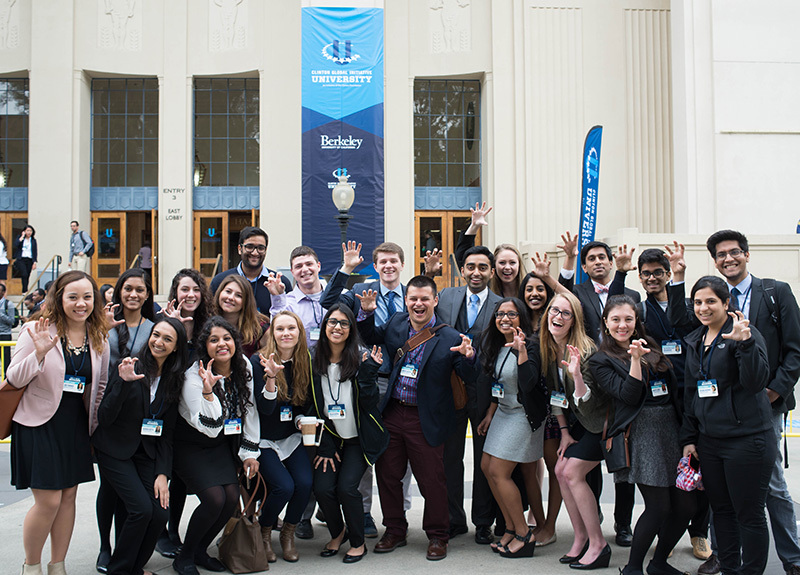 They worked in teams and then pitched their projects to a panel of expert judges. Kennedy switched his major from civil engineering to computer science after he was convinced that the wide-reaching tools and applications in computer science allow him to better help people. “It had a goal and focus that was completely in line with the kind of things I wanted to do,” said Kennedy, referring to the Codeathon. He figured that he had to apply since the mission of Codeathon matched the reason why he switched to computer science. According to Kennedy, a huge part of figuring out what he and his teammates wanted to create with their digital prototype was to empathize and try to put themselves in a situation where people afflicted by the natural disasters could get help quickly. “That whole thing can push you in a different direction to view problems differently, and think about how can this help, how can this make the world a better place?” Kennedy said. Dong, agreed. “Something else I realized as the Codeathon drew to a close was how important the team mattered,” she recalled. “We had both great chemistry and balance in that whenever some of us were becoming too serious there was always someone else to crack us up or remind us that ultimately we were there to have fun and enjoy ourselves,” she said. Bob Lord, one of the judges and chief digital officer of IBM, announced the winner Friday and said that insightful digital applications gave BAO the edge to win first place. 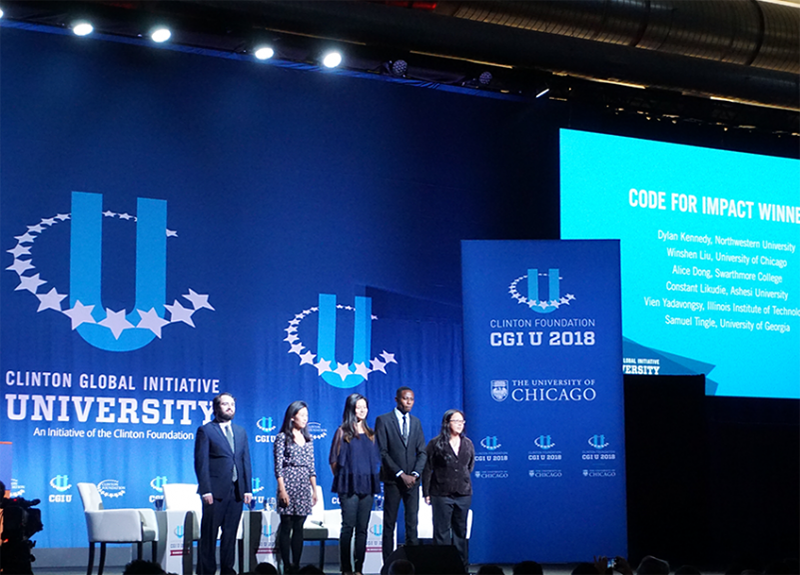 The Clinton Global Initiative University and other sponsors hosted the Codeathon and honored the team at a ceremony Saturday at the University of Chicago.